Welcome to Our Whitehall Site! Whitehall (pop. 4035) is located in Washington County, New York State, at the southern tip of Lake Champlain. Whitehall has a rich history dating back to colonial times, and it was the first permanent settlement on the lake. 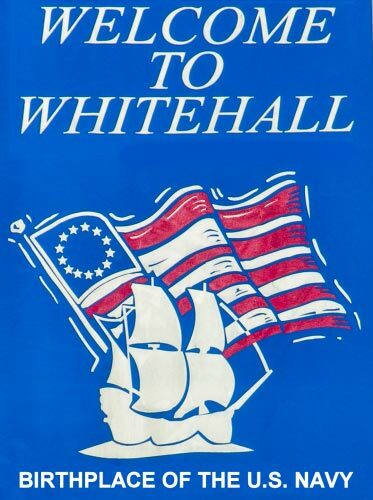 This website is dedicated to Whitehall, which is the hometown of one of Bloated Toe's founding partners. There is a great deal of Whitehall-related material here, from the history of Whitehall to information regarding the Champlain Canal, Skene Manor, and Skenesborough Museum. There are also many photos throughout the site, including several pages of just photos from around Whitehall today. In addition, there are interesting facts about Whitehall that even natives and/or residents may not be aware of. For instance, some may not realize that J.T. Buel began manufacturing his famous spoon fishing lures in Whitehall, or that one Whitehall resident lived to be 134 years old, or that Whitehall was once the set for the filming of a major motion picture, or that Whitehall has had some famous visitors/inhabitants, including Charles Dickens, General Lafayette, and Bigfoot. So feel free to explore the entire site. We hope you enjoy it, whether you're a Whitehall native, or just someone interested in history or great places to visit. Also, if you'd like, tell us what you think or something about yourself by signing our guestbook, or just browse through the entries if you prefer. Because we publish books on northern New York history, we've had many visitors from around the North Country and beyond sign in to tell us a little about their stories. We enjoy hearing from everyone and hope everyone enjoys looking through the guestbook to find old friends.